Siding plays an important role in protecting your home against nature’s elements, as well as properly insulating and keeping it comfortable throughout the year. Atlas Construction offers energy-efficient siding options that not only beautify your home exterior but keep it cooler in the summer and warmer during the cooler months. Siding now comes in a variety of materials, styles, and designs. Choosing the right siding for your home doesn’t have to be an overwhelming process. The siding specialists at Atlas Construction sit down with each homeowner to determine the right match for their design preference and property’s needs. Vinyl siding continues to be a popular choice due to its low cost and easy maintenance. It is also available in all sorts of styles and colors. We offer the highest quality siding made with new vinyl that has never been recycled. This is important because the bleaching part of the recycling process can weaken the product, causing it to have a shorter lifespan. With the proper installation of foam board, vinyl siding can also become even more energy-efficient due to its added insulative properties. Fiber cement siding is made of sand, cement and wood fibers. We’re proud to represent James Hardie, the first manufacturer to invent fiber siding in the early 1920s. This product, known as HardieBoard®, provides a wood-look appearance without extensive maintenance. When properly installed, fiber cement siding can last for decades to come. Wood siding provides a beautiful, rustic look and can be painted or stained any color. Although wood siding requires more maintenance over time, we provide a variety of protective coatings and solutions to keep it durable throughout the seasons. Your home will greatly benefit from siding replacement. 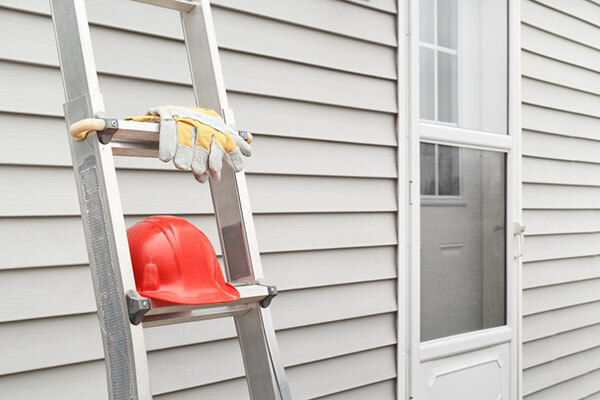 Our siding contractors have years of experience in the industry and are highly trained to handle any task. Find out how energy-efficient siding installation from Atlas Construction can boost your home’s appearance and maximize its energy efficiency. Call (828) 544-1110 or fill out our online form. We look forward to serving you!